“Scherzo” progresses from bouncy kicks through a rollercoaster guitar solo, and culminating in a gravitating final drop highlighting Lamalo’s live energy and instrumental virtuosity. 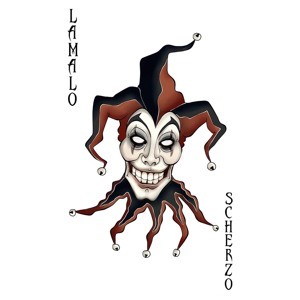 “Scherzo” means “joke” in Italian, but is also a type of composition that was popular during the 19th Century, lead by composers such as Mendelssohn and Chopin, which ties into Lamalo’s roots as Classical musicians. The explicit sampling is a joke, so don’t take it so seriously.